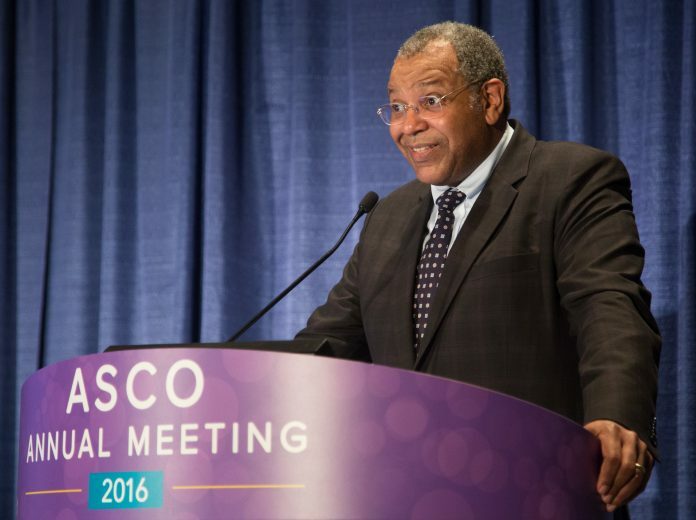 Otis Brawley, MD, presenting at the 2016 Annual Meeting of American Society of Clinical Oncology (ASCO) on Monday June 6, 2016. The latest chapter in Otis W. Brawley, MD’s illustrious career in cancer prevention and control commenced earlier this month when he began his tenure as a Bloomberg Distinguished Professor at Johns Hopkins University in Baltimore. In November, Brawley, a medical oncologist and leading expert in cancer prevention and control, resigned after serving as chief medical and scientific officer and executive vice president with the national American Cancer Society for 11 years. 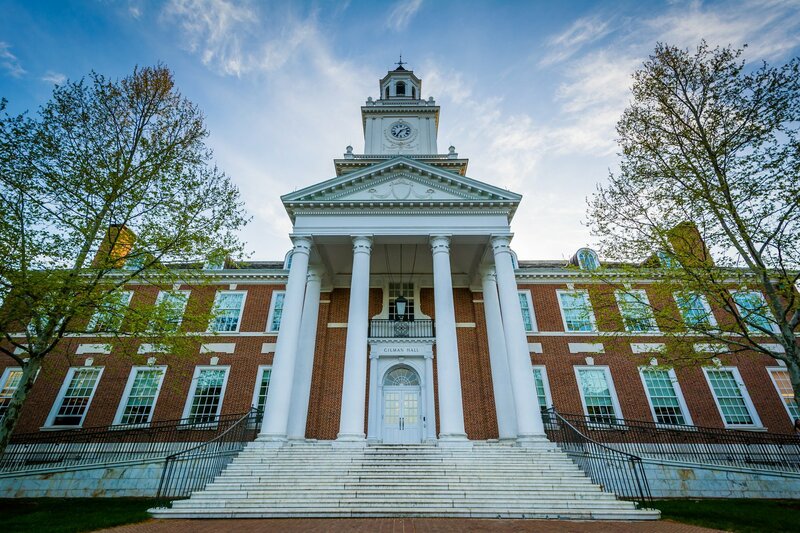 Photo 1.0: Gilman Hall, at Johns Hopkins University, in Baltimore, Maryland. He did not go into detail at that time about the circumstances related to the timing of his departure, but told me during our recent telephone interview that Hopkins began recruiting him as a Bloomberg Distinguished Professor in February 2018. The Bloomberg program was established in 2015 with a $350 million gift from philanthropist and former New York City Mayor Michael R. Bloomberg, who is a Hopkins graduate. Brawley is the 39th recipient of the title, which will ultimately be held by a total of 50 scholars charged with addressing major world problems and teaching the next generation of physicians, scientists, and academics. He will lead an interdisciplinary research effort focused on reducing racial, economic, and social disparities in preventing, detecting, and treating cancer in the United States and globally, and have appointments at both Hopkins’ Bloomberg School of Public Health and its Sidney Kimmel Comprehensive Cancer Center. He will also serve as the Kimmel Cancer Center’s associate director for community outreach and engagement, directing community outreach programs for underserved populations throughout Maryland and Washington DC. Brawley said that he also plans to continue his clinical activities at the cancer center, and will teach cancer epidemiology to both undergraduate and graduate students in the school of public health as well as teach in the medical school. “This is really a fabulous job and will allow me to work day in and day out with the many amazing people I’ve respected who are already doing community outreach at Hopkins,” he said, noting that he had been able to collaborate with many of them in the past during his time with the American Cancer Society. “And one of the biggest attractions at Hopkins is its spectacular faculty and amazing students, and the opportunity to help shape the next generation of cancer prevention and control scientists,” he said. The Bloomberg professorship will allow Brawley to merge all of his professional passions in an unfettered capacity. After spending his early career at the National Cancer Institute’s division of cancer prevention, he left for Atlanta in 2001 to become deputy director for cancer control at Emory’s Winship Cancer Institute and medical director of Grady Memorial Hospital’s cancer center, before joining American Cancer Society in 2007 as its chief medical and scientific officer. 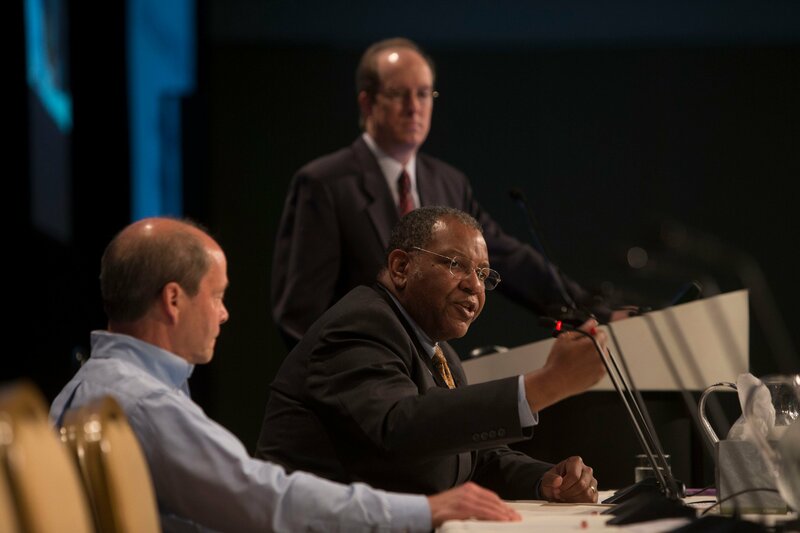 Photo 1.0: Thomas Kornberg, Ph.D, Otis W. Brawley, MD and Richard L. White, MD, FACS discuss issues during the General Session X: Health Policy: Opportunities and Challenges at the Breast Cancer Symposium, supported by ASCO, the American Society of Clinical Oncology, ASTRO, The American Society of Radiation Oncology, SSO, Society of Surgical Oncology, ASBS American Society of Breast Surgeons and ASBC American Society of Breast Cancer. “I’ve had the opportunity to be a cancer center director at several places, and to run institutes that look at health outcomes and disparities, and of all those choices, I chose this,” he explained. He said that with today’s high costs of health care and the unnecessary use of many medical interventions, he intends to continue to be a “thought leader” in cancer control, to focus on affecting behavior in the community, and to encourage good science and the application of good science. And in addition to helping educate the public and medical practitioners about rational medicine and the need for increased cancer prevention, he intends to take this message to Congress. Brawley said the he has testified numerous times before Congress in the past and is being encouraged by Hopkins to continue appearing before and appealing to legislators about cancer prevention and disparity issues. 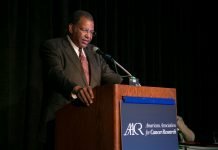 In an episode of The Onco’Zine Brief (Meeting the Challenge of Attacking Cancer from Every Angle) Peter Hofland, Ph.D and Sonia Portillo talk with Otis Brawley, MD, MACP the Chief Medical and Scientific Officer of the American Cancer Society. Hofland and Portillo ask Brawley about the past, present, and future of the fight against cancer, including screening, diagnostics and treatment with novel, targeted drugs, and the role of the American Cancer Society in helping to prevent cancer. In this interview they further address some of the most pressing issues in oncology today, such as cancer health disparities and access to healthcare in lower income areas, as well implementing healthy lifestyle choices and reducing cancer risk factors, in order to make the biggest impact possible on reducing the number of cancer-related deaths. Hofland and Portillo also ask Brawley how to go about meeting the challenges in healthcare and find a solution for cancer health disparities, as well as how to educate the public on how to prevent and reduce risks of cancer in our daily lives – including the need of a healthy diet and to stop smoking. This interview, took place during the annual meeting of the American Association of Cancer Research held April 14-18th, 2018, in Chicago, Illinois. Click here to listen to the program. “American culture is more focused on individuals than group dynamics, and one lesson I learned during many congressional testimonies was that congressmen aren’t interested in population statistics and rates, but anecdotes,” he said, adding that this makes it especially important to increase understanding about population medicine and epidemiology, not only to the public and Congress, but to doctors as well, and to get them to understand that prevention and control can reduce cancer risk. To Brawley, disparities exist when human beings do not receive the same health care that other human beings receive. One example he cited was a study he had done several years ago in Atlanta that showed that 7% of black women and 3% of white women who had heard messages about getting mammograms and were diagnosed with early stage breast cancer did not receive any treatment during their first year of diagnosis. He said that while at American Cancer Society he and his team started interventions to encourage people to carry through with their treatment that included navigation programs, and community education and outreach regarding health behaviors. He added that some of these programs were based on anti-smoking initiatives. and a study that showed the risk of dying from cancer in 2015 in Utah was 125 deaths for every 100,000 people while in Kentucky that risk was 195 for every 100,000 people. He also said that health care costs in the U.S. are about twice as much as many European nations with outcomes that are no better. Brawley’s vision of a 21st century NCI-designated cancer center involves having centers serving the communities in which they are located. Born in Detroit, Brawley received both his undergraduate and medical degrees at the University of Chicago, and did his internal medicine training at Cleveland’s Case Western Reserve and medical oncology fellowship at the National Cancer Institute. He was elected to the National Academy of Medicine (formerly the Institute of Medicine) in recognition of his expertise in cancer prevention and control in 2015, and was recently named to the NCI’s Board of Scientific Advisors. With Paul Goldberg he co-authored How We Do Harm — A Doctor Breaks Ranks About Being Sick in America, published by St. Martin’s Press in 2011, and last July he and colleagues at ACS published “An Assessment of Progress in Cancer Control” in CA: A Cancer Journal for Clinicians. Brawley is now hoping that his new Bloomberg-based bully pulpit will help him continue to propel the importance of prevention and reducing disparities with the freedom to pursue a scientific agenda free of any other agenda. This is the first installment of a series of new beginnings for distinguished members of the cancer community. Featured Image: Otis W. Brawley, MD, presenting during the 52nd Annual Meeting of the American Society of Clinical Oncology (ASCO) being held at the McCormick Place convention center in Chicago, Illinois, on Monday, June 6, 2016. Courtesy: © 2010 – 2019 ASCO/Zach Boyden-Holmes. Used with permission. Photo 1.0: Gilman Hall, at Johns Hopkins University, in Baltimore, Maryland. Courtesy: © 2010 – 2019 Fotolia. Used with permission. Photo 2.0: Thomas Kornberg, Ph.D, Otis W. Brawley, MD and Richard L. White, MD, FACS discuss issues during the General Session X: Health Policy: Opportunities and Challenges at the Breast Cancer Symposium, supported by ASCO, the American Society of Clinical Oncology, ASTRO, The American Society of Radiation Oncology, SSO, Society of Surgical Oncology, ASBS American Society of Breast Surgeons and ASBC American Society of Breast Cancer. Courtesy: © 2010 – 2019 ASCO/Todd Buchanan. Used with permission.